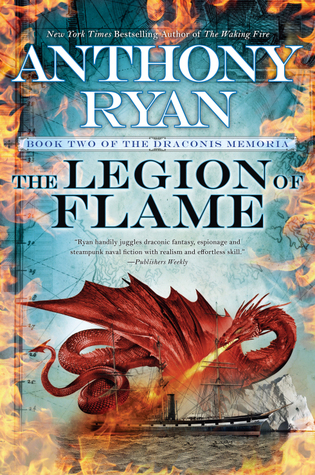 Today I’m very lucky to be interviewing Anthony Ryan author of The Legion of Flame. Hi Anthony, thank you for agreeing to this interview. So, what have you written? I've had the opportunity to read The Waking Fire and The Legion of Flame. I can't wait to dive into your other series. Links to where to buy any of my books are on my website: anthonyryan.net. My current series has an ensemble cast but most readers seem to like Lizanne Lethridge the most. She's an industrial espionage agent who gains magic powers by drinking dragon blood. I'm super into magic and dragons. I think that's why I loved this series so much. I'm currently enjoying some downtime after finishing the third and final book in the Draconis Memoria series. I'll soon be starting work on another novella set in my Raven's Shadow world. I can't wait to get my hands on both of these. I think Emily Blunt would make a great Lizanne. I can see that. Love Emily Blunt. As soon as I found out it was an actual job. I think I was about eight. The Draconis Memoria is a secondary world fantasy set in a world at a mid-19th century level of development where a select number of people gain magical powers by drinking dragon blood. I read a lot, though not as much as I used to, probably an age thing. I read a variety of genres, David Gemmell being my favourite fantasy author. I also enjoy the crime novels of James Ellroy, the sci-fi of William Gibson, amongst many others. I'm currently reading 'The Great Ordeal' by R. Scott Bakker. 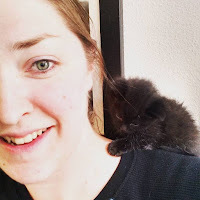 Stop distracting yourself and write more. I love this. Maybe I should tattoo this on my forehead. The Lord of the Rings, I'd never need to work again. Concentrate on finishing your stories rather than fixating on daily word counts. Also, read a lot and remember that every writer you ever heard of is someone who chose not to give up. Thank you Anthony for stopping by Confessions. I've enjoyed reading your responses to my questions and am really excited to pick up some of your other reads.